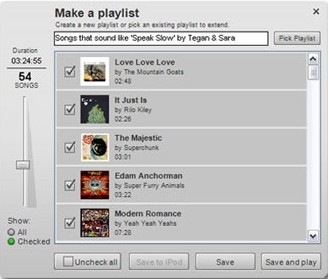 Sound flavor DJ is a companion to iTunes that makes Sound flavor DJ easy to instantly make good playlists from your library, shop for new music “by sound,” and rediscover great songs you own but may have forgotten about. Sound flavor DJ is your personal DJ. As you listen to music, Sound flavor DJ picks and plays songs from your iTunes library based on the sound of the music you’re listening to.